Static cling signs are excellent advertising graphics that are easily moved and removed without leaving any residue. Static cling signs have no adhesive, yet adhere to most flat, smooth, surfaces like glass or glossy painted, flat surfaces. 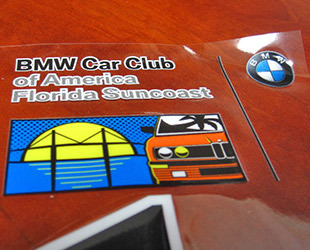 Custom printed static cling decals can be made to any size, and in virtually any shape you desire. 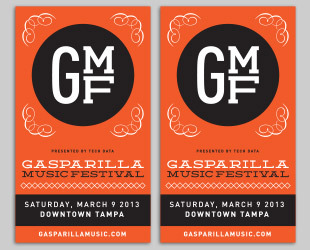 We are a digital printer, so your static cling signs can be full color at no additional charge. We have printed many many static cling signs, and can offer you high definition, full color static cling signs for less money, while providing you great advice on the best product for your promotion. Few graphics companies can digitally print clear static cling signs, as it requires a high-end (expensive) digital printer with titanium based white ink. This is what makes the graphics to pop. At Good Guys Signs, we print products that require white ink in high resolution, and for less than anyone. Static cling stickers and decals can be made with from a white material, which is the most affordable static cling sign you can buy. 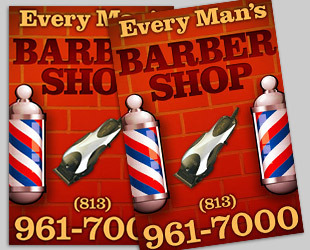 Static clings can also be printed with clear cling material, giving you are more upscale, often dramatic look. Static cling, or window clings, can be made in a variety of sizes. The most frequently ordered window cling sizes are 6” x 12” for small window clings, ”12 x 18” for medium-small window clings. 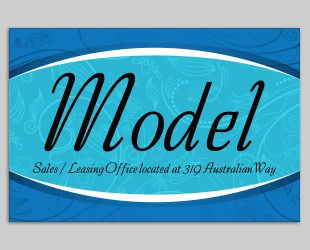 Larger static cling window signs can be 4’ wide by 8’ long. The large chain stores, like Race Trac TM in the south, wet apply huge 4’ x 8’ window static clings on the outside of their stores windows, often weekly or bi-weekly. Walk up sales increase dramatically on profitable items when the promotion is timely, well designed, and affordable. Static cling decals fills this need well. The most common uses for static window cling signs are short-term retail promotions. Static clings are often used for parking permits as well as for oil change and car repair shops. Whether on the cooler inside a convenience store, or outside the glass in a mall, static cling signs add pop, increase impulse buys, and all for an affordable price. When ordering window clings, always let us know if they are for inside the window (more expensive) or for outside the window. We are here to offer you the best value, and most effective signage for your money at Good Guys Signs.